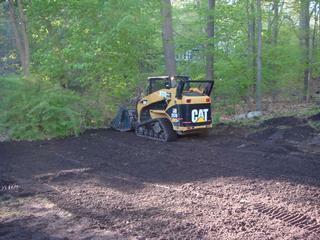 Aerifying, overseeding, sod and complete lawn renovations are available. 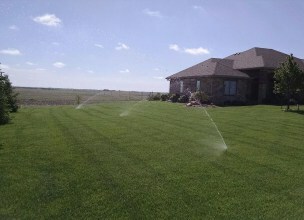 All lawns have specific needs and requirements. 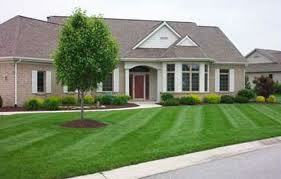 No two lawns are exactly the same and we can provide soil sample readings to help in the process. Greg Strahm will work with individuals to create a plan that is specifically designed to achieve your goals. 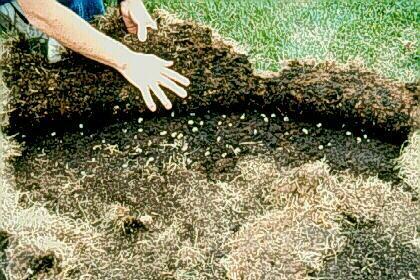 This is a great option if you lawn has been neglected and just needs more turf planted to help thicken it up. It is also for those who have received some damage to their lawn such as grubs, high traffic, or shaded areas. 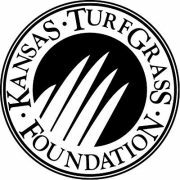 Finally, it is a great way to evenly introduce another variety of turf that can better tolerate heat, shade, or drought, making your lawn better suited to its environment. Best results occur when planted in the fall. Renovating your lawn begins with several herbicide sprays to kill any existing grass and weeds. We then complete any grading work to help with drainage or any other issues you encounter. Finally, we reseed the area and mulch it with straw. This is best done in the fall. Sod allows you to quickly establish a lush lawn and is also used as an erosion control method on slopes. The other benefit of sod is that it can be installed any time of the year. 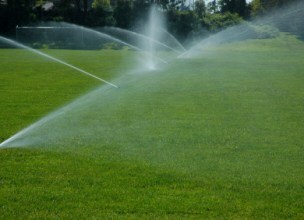 Lawn Irrigation Systems are often times the missing link to having a beautiful lawn throughout the growing season. Even if your lawn is free of weeds, insect, and diseases it can still become unsightly if we go through an extended period of drought, which is common in this area. Underground lawn irrigation eliminates the task of dragging out hoses and sprinklers that inefficiently accomplish the daunting task. 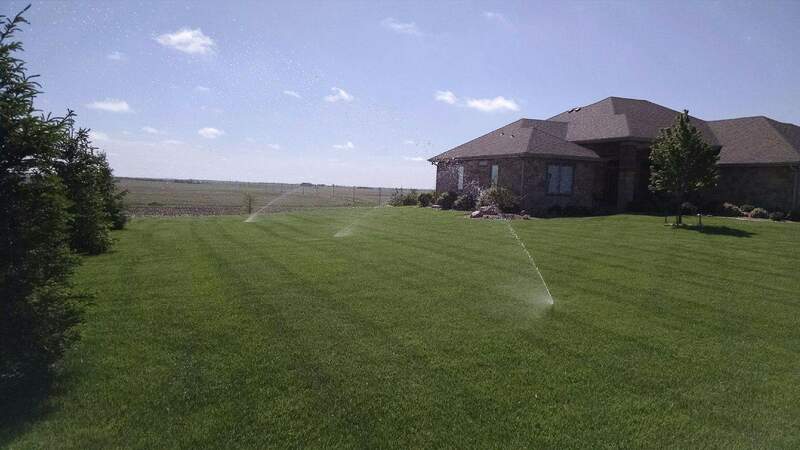 Properly installed irrigation systems can be very efficient and reduce the amount of wasted water, especially if combined with rain sensors and or weather stations. Irrigation systems can be controlled from an easy to use wall mounted control unit or smartphone/computer. In addition to watering your lawn, drip irrigation can also be added onto these systems to water your landscape plantings. 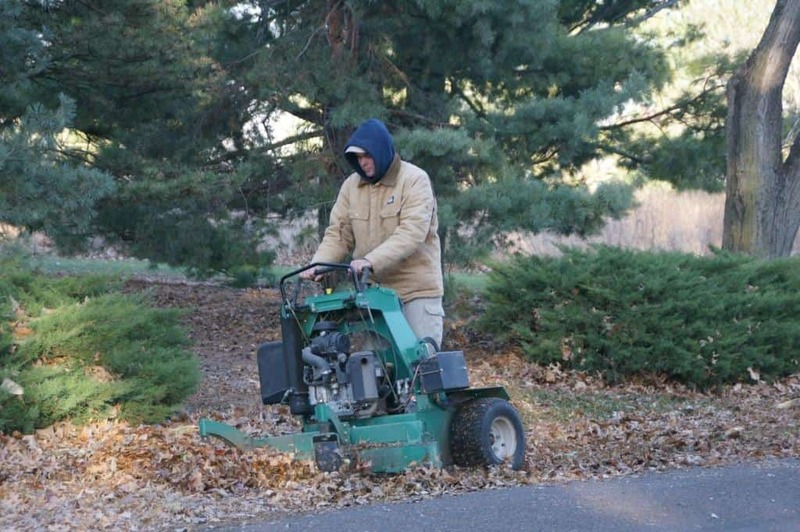 Using a vibratory plow means minimal damage is experienced in existing lawns. 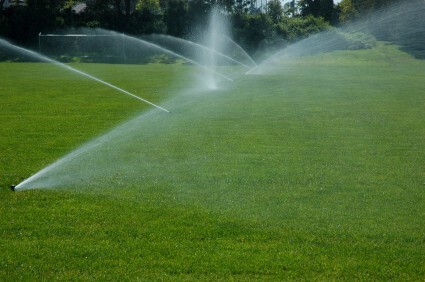 Keeping your turf well hydrated throughout the growing season will keep your lawn alive and healthy and often times even eliminating the need to reseed areas after a hot dry summer. New! Lawn drip irrigation is a new way to water your lawn and conserve water! No water is lost due to evaporation or runoff! Ask about the option if you are interested. 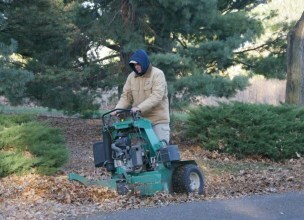 Mowing crews are available to mow properties on a weekly schedule if needed. Proper mowing practices are essential to turf maintenance. The proper mowing height during each season will ensure the turf is performing at its best. Taller turf especially during the summer can be the key to survival, because longer leaf blades help shade and reduce transpiration from the crown of the plant. We can also edge, trim, and blow clippings off of the hardscapes to provide a well-manicured appearance. 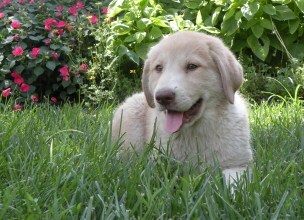 The basic package is for those who want a nice looking yard that is healthy and green. This package includes 2 herbicide applications that control the major weeds in our area and also provide a single, well balanced fertilizer application. Beginning of April: This crabgrass and goosegrass preventer provides control of annual grasses to reduce weed competition. This is very important in our area for all lawns! 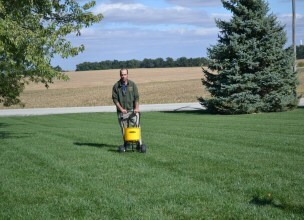 Beginning of September: This fertilizer application helps to revive your lawn from the stressful heat of summer. It helps replenish nutrients that are used by the turf throughout the year. Mid October: This broadleaf herbicide eliminates dandelion, henbit, and chick weed. It will also control many other broadleaf weeds. Fall application is the best since the weeds are small and most susceptible to the chemical. 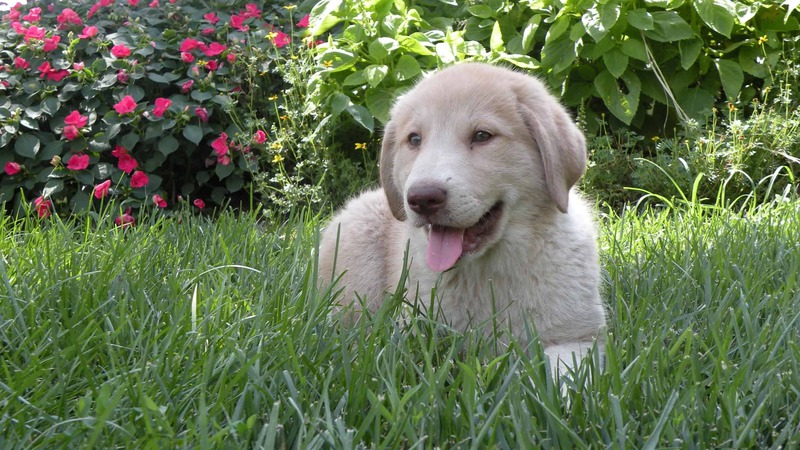 This package brings the utmost care and attention to your lawn, keeping it weed free and well fed. It includes the above three plus two additional fertilizer applications and an insecticide application to control grubs to keep your lawn in top condition all year. The additional 3 applications are listed below. Mid April: This slow release fertilizer helps “wake up” your lawn and feed it all summer. Beginning of June: This insecticide application to control grubs is ideal for customers that have had problems with grubs in the past or like the peace of mind to know their lawn won’t become infested. Beginning of November: An application of this quick release fertilizer (nitrogen) will help lawns build root mass and prepare for winter. 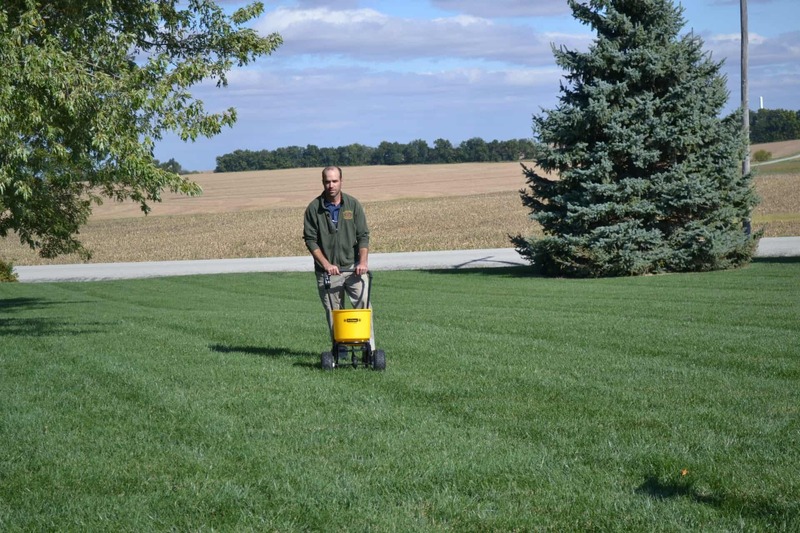 For the “do it yourselfer” we provide you with the proper amount of material for your lawn and notify you when it should be applied and you do the work. We call this service DIY Lawncare Delivered. Find out more here!